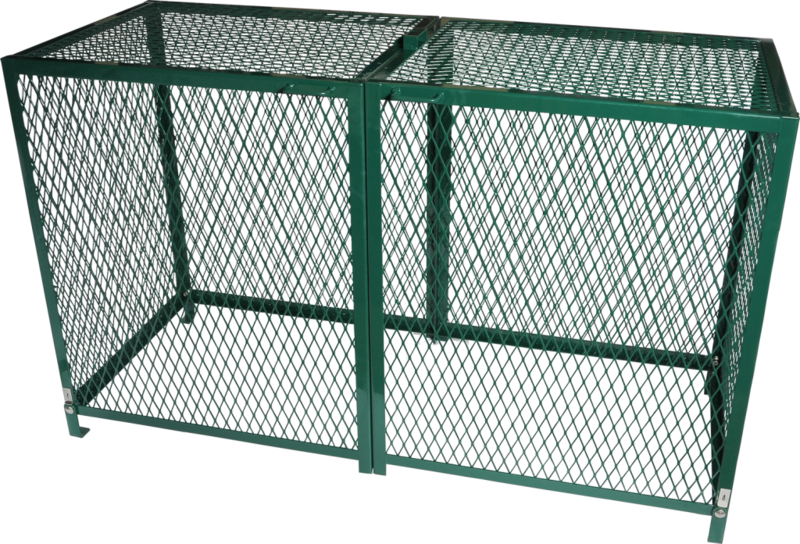 The backflow cover shall be of a vandal resistant nature manufactured of formed and expanded metal, coated with a performance polymer alloy coating to prevent handling injury. The cover shall be in two sections with a hinge on each end and a locking tab at the center. The hinges shall be attached to mounting brackets with carriage bolts to allow removal of the cover from the hinges. 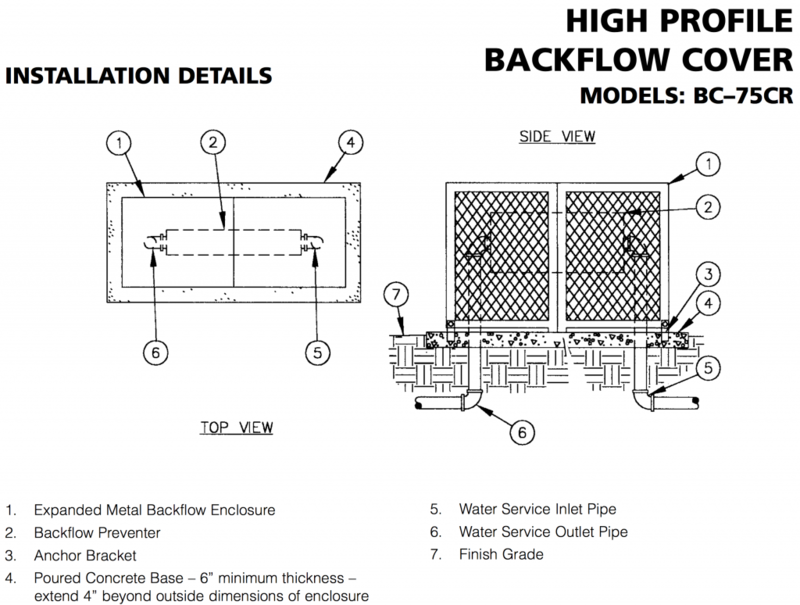 The mounting brackets shall be submerged into the concrete a minimum of two inches, positioning the cover one and one half inches above the concrete. The locking tab shall accept a padlock. Handles shall be attached to the sides to facilitate raising and lowering of the cover. The cover shall be covered with a zinc base powder coat then powder coated with a polyester TGIC coating having a minimum thickness of 2.5 mils.